With digital, Inbound marketing developing it has become the most effective way to generate leads. Instead of pushing your product and service to your potential customers you pull them by giving them reasons to interact with your brand and product. In 2018, experts expect China’s economy to be the largest in the world, more than 50% of the Chinese population currently use the Internet. 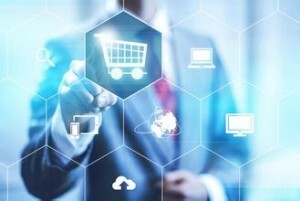 China is already the biggest e-commerce marketing the world, it represents a $ 672 billion market (15.9% of the retail sales in China) whilst U.S is 330 billion short of this with $ 340 billion a year. China evolved digitally and now is a leading global economy with the RMB. The key factor to any good inbound program is CONTENT. Your content will reflect your brand and your professionalism. It needs to be accurate and relevant to your audience – specific to your targeted market. Great content will bring you more attention and therefore more leads. This content needs to be interactive multimedia in order to have a chance to go viral. All of this is very relevant in the orient, the Chinese love to share content and reviews with their friends and love high end product and services. You need to make sure you understand what your segments are and how to communicate to them. Chinese customers and business/industry look online to find information about a product or a company. As you may already know Google and Facebook are banned from China and most of the browsing is done is Chinese (Mandarin). You must understand that you will have to adapt to the local tools and culture. You will need to be present on the popular digital platforms in China. 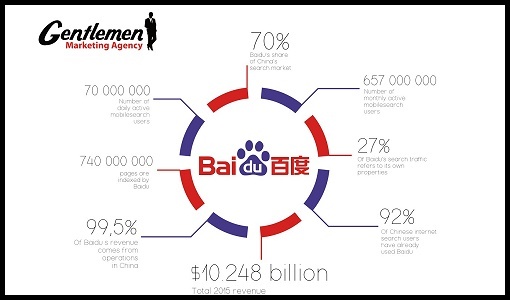 BAIDU is the most popular search engine in China with a 70% market share. Implement a pay per click campaign in order to support your SEO effort and accelerate the visibility you will get. Backlinks from some quality information websites are also important for SEO and you can create partnerships with other reliable websites, in order to get more backlinks and increase visibility to your website. All of this will also increase your website ranking (in search engines) and your readers’ trust. An SEO optimized website and content will enable your website to be trustworthy and reliable. Thus, leads will flow to you! On Baidu, like on Google, at the top a search results page, you will find some sponsored links (adds). Of course those links don’t create as much trust as an organic link (you generate from SEO efforts) and their CTRs are lower but you will still get receive some extra visibility. It is good to use them initially for market entry but you need to know when to start and when to stop. Baidu specialized agencies will help you to control the cost and will create the best banners for your website. Chinese love social media and to be part of a community. They share and comment on everything they or their friends do or buy. Developing presence ionthe popular social media platforms and getting some attention from key opinion leaders will support a positive image. You need to make sure your potential lead in China won’t find any negative reviews and opinions about your product or company. Having an efficient landing page is important to funnel and initiate action from your users and potential buyers. You need to bring them a little further forward in the relationship you established with them. You got their attention now it’s time to get something from them…it could be a simple subscription to a newsletter, a meeting request or a sale! The design of the page where they landed has to have a purpose and a flow which entices them to do what you want them to do… The design must be clean, sleek, professional and enticing. This user experience (UX) will maximize the success of your digital platform. Two aspects you need to focus on in China are the loading time and the responsive design. 80% of the Internet usage in China is done through mobile therefore you need to make sure your website is displayed properly on a mobile and is not too slow to use. Your website must be hosted in China to have the best loading performance. It’s important you keep in touch with those leads by feeding them with some relevant information (related to your product or industry). Wechat is a great tool to use because it has great functionalities (such as the QR code, payment, easy sharing) and is easy to developed and manage. 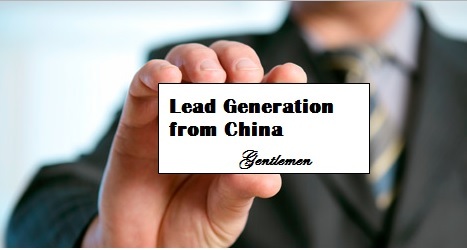 If you nurture your leads in a proper way some of them eventually will buy your products. All these steps are kes to implementing a great inbound marketing program which will generate you leads.